Is it her Imagination or are they Possessed...? 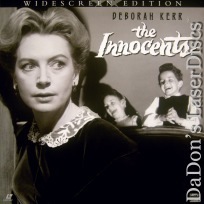 The Innocents 1961 - 100 min. - Black and White Genre: Horror LaserDisc Movie Review: In this lugubrious but brilliantly realized adaptation of Henry James' classic novella The Turn of the Screw, 19th century British governess Miss Giddens (Deborah Kerr) arrives at a bleak mansion to take care of Flora (Pamela Franklin) and Miles (Martin Stephens), the wealthy household's two children. Outwardly the children are little darlings, but the governess begins to feel that there's something unwholesome behind those beatific smiles. After several disturbing examples of the children's evil impulses, Miss Giddens gets information from the housekeeper (Megs Jenkins) that suggests that the children may be possessed by malign spirits --- or are all these events just the products of Miss Giddens's own imagination The best and most frightening vignette in The Innocents occurs when the governess casually kisses young Miles, then recoils in horror when she realizes that someone other than Miles has kissed her back. 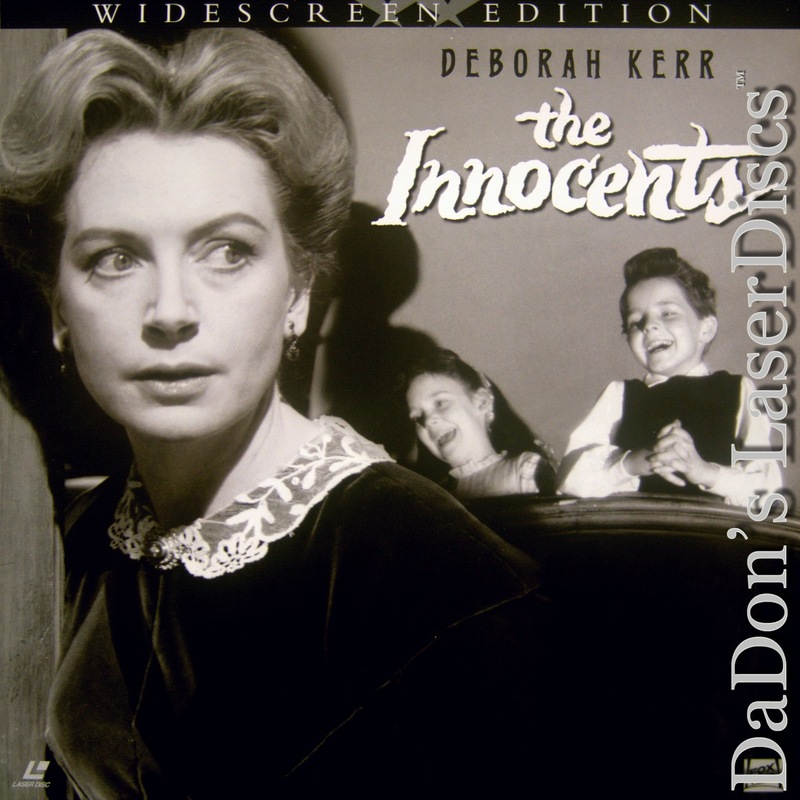 Unlike many CinemaScope productions, The Innocents plays better in the claustrophobic confines of the TV screen. --- Hal Erickson The Innocents is strong proof that low-violence, atmospheric horror films were not invented by The Blair Witch Project. Based on Henry James's novella The Turn of the Screw, the film wisely leaves in doubt how much what occurs may be supernatural, and how much may be in the mind of the protagonist (Deborah Kerr). It's all the more frightening for what isn't shown, and it has endured as one of the screen's best psychological dramas. Truman Capote, whose work often dealt with repressed sexuality, was among the screenwriters. The pacing from director Jack Clayton creates a confining intensity that allows Kerr to magnify her performance. This is a very scary movie, without any of the gimmicks often associated with the horror genre. --- Richard Gilliam Thanks for Visiting DaDon's Rare LaserDiscs ! Reviews, Articles, Newsletter and Information for Movies on LaserDisc LD Laser Disc, LazerDisc.